Close-up magician Shin Lim wows judges with new card tricks on America’s Got Talent 2018 Season 13 Live Finals on Tuesday, September 18, 2018. “Oh my God. You have been so great. This was so good. you could actually win this competition,” said Simon. “That was 1 million dollar act. This is a winning act,” said Howie. “That was pure magic,” said Mel B. “You are definitely one of the best close-up magician we have,” said Heidi. Here’s how to vote for Shin Lim. 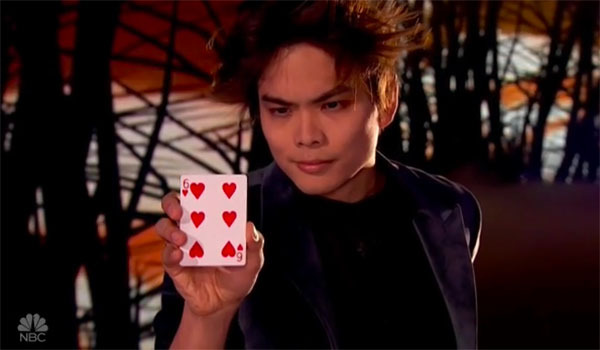 What can you say about Shin Lim’s performance? Share your thoughts below. Tonight, the Top 10 acts will preform for the last time for a chance to win the AGT 2018 title and $1M grand prize.